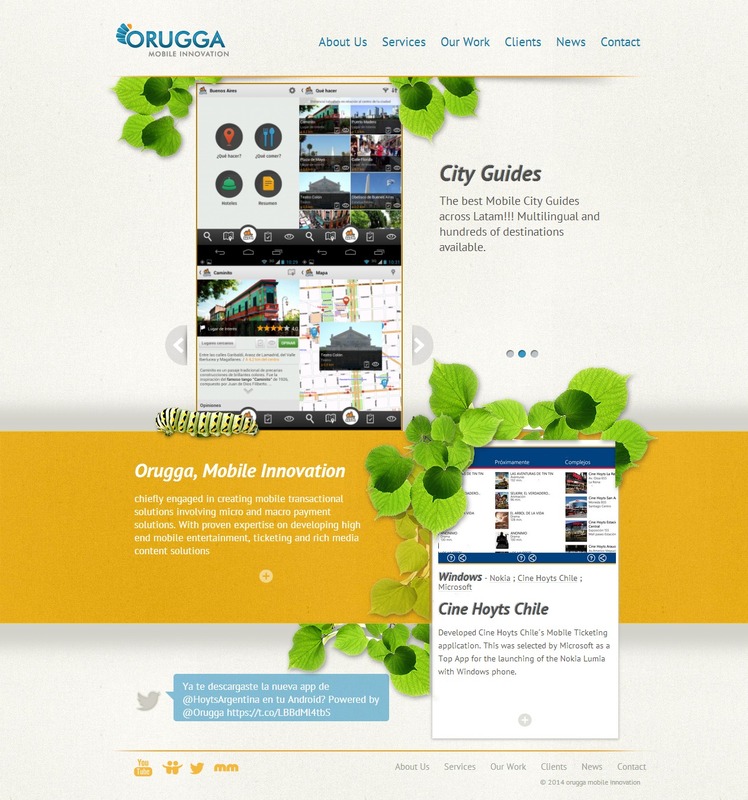 Institutional website for Orugga, an argentina company chiefly engaged in creating mobile transactional solutions involving micro and macro solutions for medium and large companies in Argentina. We led the design process for the new website and the whole website, which was done in Joomla. The site can be fully managed from the frontend and it was thought to be mobile-responsive. We used Cobalt for almost the whole site, even for those pages that seem to be a Joomla article. We didn't like our client to use Joomla to edit complex content structure using the Joomla editor because we knew they will break the whole site, and that's why we decided to build everything using Cobalt CCK. We built types and sections for all the pages, because we wanted to give the client an easy way to manage the information. For example, the Homepage is a Cobalt content type with fields for all the sections that you see on it: Gallery for the slider, textarea for the company description.